My Business Has Been Defamed By Anonymous Users on the Internet! 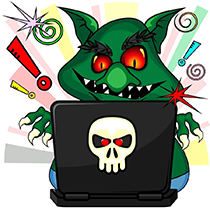 Key Legal Considerations for Identifying Online Trolls and Addressing Harmful Online Content. In our digital world, every business must carefully manage its online reputation to be successful. This includes taking steps to address anonymous online users posting false, misleading, or harmful information. These types of negative comments—which seemingly live forever on the internet—can cause significant damage to a business’s interests if not removed. Join the Arizona Technology Council and Ryley Carlock & Applewhite for a Lunch and Learn on Tuesday, November 14 to address these key, topical issues related to digital reputation management. In this presentation, Ryley Carlock & Applewhite Litigator Kevin Heaphy will discuss legal strategies to respond to anonymous users posting false or harmful content on the internet to help you decide whether, and how, to take action to stop or remove negative online comments about your business. You’ll learn about the challenges and opportunities associated with seeking to uncover the true identity of anonymous users, what factors to consider when deciding whether to sue an online user for defamation, and alternative steps to take short of commencing a lawsuit that may stop the harmful comments in an effective manner. 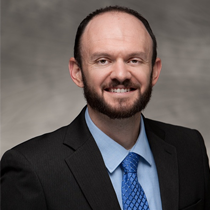 Kevin excels at helping businesses achieve practical, efficient, and business-oriented results in litigation. He assists a diverse array of commercial clients, including product manufacturers, financial institutions, licensed professionals and business entities, from small, local companies to multinational corporations. See Kevin’s full bio here.